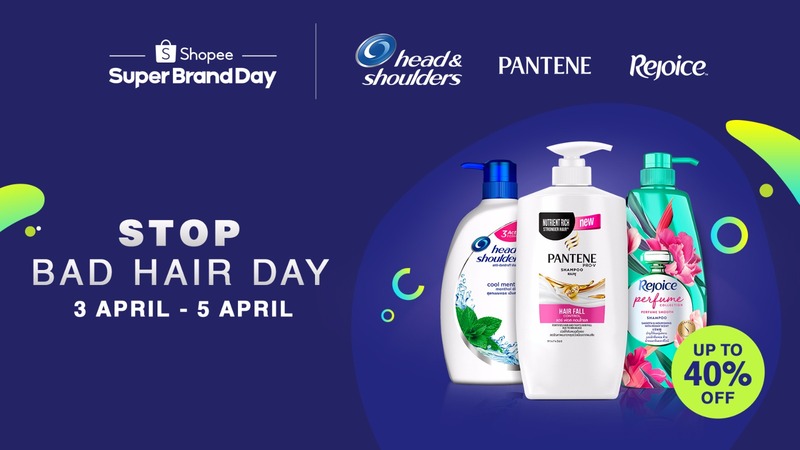 Procter & Gamble (P&G), a leading global consumer goods company and Shopee, a leading e-commerce platform in Southeast Asia and Taiwan, announced the launch of the 1st Regional Super Brand Day to “Stop Bad Hair Day”. During this campaign, Shopee will launch P&G’s latest line of hair care products across six markets in Southeast Asia. This is part of P&G and Shopee’s strategic partnership to drive its online sales and hair care category growth in eCommerce. Introducing ‘Stop Bad Hair Day’ campaign, the P&G x Shopee Super Brand Day in the Philippines will feature offers from April 3 to 5 across P&G’s leading hair care brands including Head & Shoulders, Pantene, and Rejoice to address top hair problems in the region, such as hair fall, dandruff, and oily scalp. In the Philippines, P&G is also launching hair care products perfect for the hot summer season. The new Head & Shoulders Subzero Shampoo, which gives an extra cooling sensation and Rejoice Perfume Shampoo, which leaves a long lasting fragrance on your hair will be launched exclusively on Shopee during Super Brand Day period.